Cerveteri is a town on the West coast of Italy, 48 km North of Rome, which lies on the site of the Etruscan city of Cisra, called Caere by the Romans. Caere was one of the metropoleis of the ancient Mediterranean, a rich and powerful city which was an ally of Carthage and developed good relationships with its southern neighbors the Romans. The site is famous for its necropolis of rock-cut tombs imitating houses complete with carved furniture and decorations, recently listed among the UNESCO World Heritage Sites. Many of the most famous Etruscan artworks, such as the Sarcophagus of the Spouses, were found in the tombs of Caere. While the cemetery has early attracted scholarly attention, the exploration of the city has begun much later. Though some sanctuaries are known, the general plan of the city is still largely unknown. The team of the Queen’s University will continue the investigation a religious compound in the centre of the city, the so-called “hypogeum of Clepsina” consisting of an underground room with frescoes, sketches and inscriptions, and a network of corridors and stairways. This has been identified as the cult place of the ancestors of the community and the seat of rituals dealing with its foundation and its destiny, also including divination. 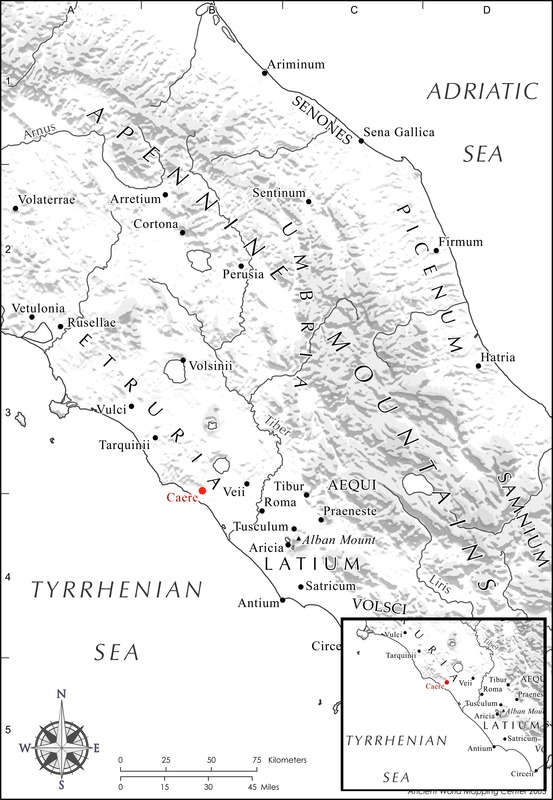 The orientation of the complex may depend on Etruscan religious and cosmological beliefs, which might have determined, or at least conditioned, the master plan of the whole city. The excavation will also investigate the urban area near the hypogeum, where a regular urbanization pattern is coming to light. On Sundays, students have the opportunity to travel at their leisure. The town itself is only 48 km outside of Rome and is easily accessible by train. There is a train station within walking distance. Although Rome is one of the primary destinations for Sunday Travels, students have travelled to Florence, Pisa, Tarquinia, and Vatican City. A round trip ticket to Rome, including an all day public transportation pass, costs 8 euros. 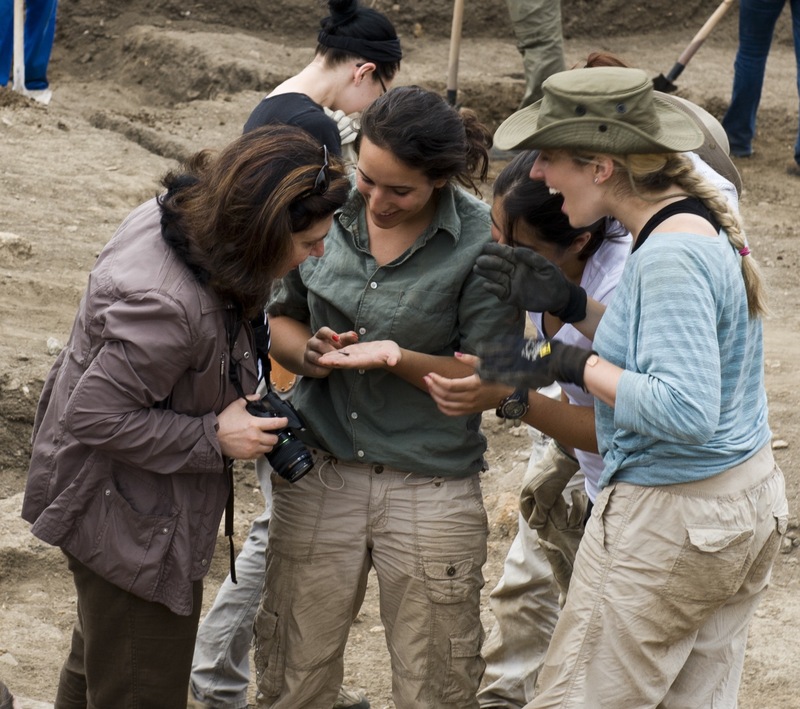 Participants can either enrol into the full-credit course CLST 409 Archaeology Fieldwork Practicum or the graduate course CLAS 809 or join as volunteers. Having taken courses of archaeology, culture and history of the Classical world is relevant background for CLST 409. Contact the project director to check if you qualify. No prior experience of field archaeology is required. All participants need to be in good physical conditions. Fill the 409 application form also posted on the departmental website, return it via e-mail to colivicf@queensu.ca or drop a hard copy in Dr. Colivicchi’s mailbox in Watson 505. You will be notified as soon as possible if you have been selected. There will be a reserve list in case students who have been selected change their mind or more places are made available.